The current low-interest environment in ASEAN spurs public and private sector spending in infrastructure, technology and skills and is boosting the capital markets in the region. According to the report Economic Insight: South East Asia, co-produced by the London-based Centre for Economics and Business Research and the Institute of Chartered Accountants in England and Wales (ICAEW), ASEAN countries that formerly have been deemed too risky for conservative lenders are now paying lower interest rates than some nations in the debt-ridden euro zone. “Money has also become more affordable for ASEAN governments as investors have flocked to the region, looking to park their funds in safer public debt,” the report says. “The cheap money will allow countries in ASEAN to fund investments in public infrastructure, from transport links to education systems, while low returns in the financial markets are likely to prompt companies to invest in machinery, technology and skills instead,” it added. The six economic powerhouses in ASEAN – Thailand, Vietnam, Indonesia, Singapore, Malaysia and the Philippines – will experience a continued investment growth until 2014, according to the analysis, with Indonesia being the leading nation at 9.1 per cent anticipated growth of investment mainly into the mining sector and into consumer goods manufacturing. Vietnam’s investment growth is forecast 8.1 per cent, Malaysia’s 6.8 per cent, and Thailand’s 4.8 per cent over the next two years. Singapore, struggling with economic contraction in some sectors, will see the slowest growth at 4.8 per cent. 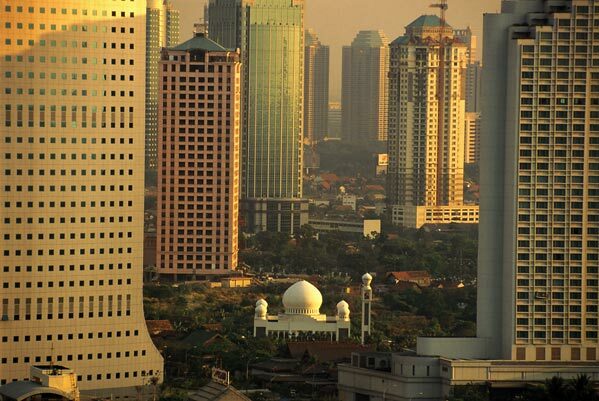 Indonesia plans to increase total government capital spending by 15 per cent next year in a pledge to boost infrastructure to ensure sustainable growth. Capital spending will rise to $20 billion in 2013, the nation’s president Susilo Bambang Yudhoyono said in his annual budget address in Jakarta last week. The president also indicated that the government might review the country’s general public subsidies policy – especially on fuels – in order to maintain the fiscal deficit at a “safe level” and to reduce debt. In Thailand, increased government spending and stimulus measures have spurred domestic consumption and investment while the weakening global economy clouded the outlook for exports. GDP of the nation rose 3.1 per cent in the second quarter 2012 year-on-year, which was the fastest pace of expansion since last year’s floods, according to a Bloomberg data. Singapore as Southeast Asia’s financial hub was experiencing a sharp rise in demand for government bonds whose returns have been rising dramatically this year – ten times of their global peers – as investors shy away from EU and US debt securities and flock to the city-state which is now perceived as a top-rated haven for money.